I usually steer clear of gimmicky mascaras because they don't work on my Asian lashes, and silly tricks like vibrating wands inflate the prices of underwhelming, smudge-prone formulas. 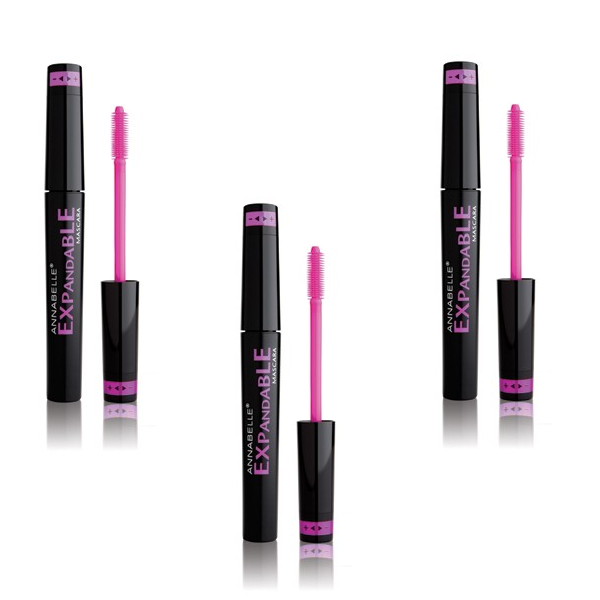 So I'm extremely happy to report Annabelle Expandable Mascara ($10.99 at London Drugs) defied my expectations. The gimmick works, and the formula is among the best I've tried. In this case, the gimmick is a retractable polymer brush that can be dialed up for dramatic volume and down for length. The difference between settings is noticeable: the highest "plus" setting made each lash plumper, while the highest "minus" setting gave me a naturally pretty doe-eyed look. (Personally, my preference is for the highest "minus" setting as it doesn't look overdone for everyday wear.) The formula stays put pretty well throughout the day with minor smudging at the 10+ hour mark. All in all, it's a solid drugstore buy and a fun foray into gimmicky mascaras, especially given the wallet-friendly price tag. Nice :D i love wallet friendly mascaras! Same here. Mascaras only have about 3 months' life in them anyway; it seems silly to spend more than you have to.